Search advertising plays a crucial role in the digital economy because almost every consumer decision journey today begins with an online search. It is a win for both advertisers and users as it helps users find information faster by promoting relevant businesses. Despite the positive aspects, like any online marketplace, search advertising is also vulnerable to bad actors. Bad actors create content that violates Bing Ads editorial policies and puts Bing users, good advertisers, and publishers at risk to reel in potential victims. This is nothing new, and we constantly work to mitigate risk associated with new attack vectors targeting different search results. 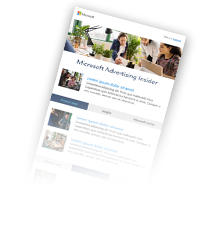 The Bing Ads team carefully reviews all submitted ads/keywords to ensure that both advertisers and search users have the best experience on our advertising network.